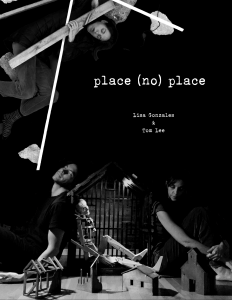 Place (No) Place is a dance puppetry performance about memories of the places we come from and how they haunt and inspire our journeys through this world. Told though sensuous movement and vivid puppetry by dancer Lisa Gonzales and puppet artist Tom Lee, the piece invites the audience to consider their own memories and experience of home. This project is partially supported by an Individual Artists Program Grant from the City of Chicago Department of Cultural Affairs & Special Events. as well as a grant from the Illinois Arts Council Agency, a state agency through federal funds provided by the National Endowment for the Arts. Developed through High Concept Labs Institutional Incubation Residency.